Matt said as it was Christmas I could write about anything I wanted. So I thought I’d treat myself to a little look back at some of the best charity campaigns of 2013. 2013 has seen a proliferation of text-to-donate train ads. I spend a lot of time on trains and could easily become wearied by the sight of two or three ads within a square-meter space. There’s a lot of text on this ad, but I’m compelled to read it all because of the first paragraph. It asks me to put myself in Aneni’s shoes. I’m made to think about how I’d have coped if my own 12 year old body and mind were forced through such trauma. And it makes me really angry. Did it work? Well, it generated over 18,000 text donations worth £53,000. And perhaps more importantly, 1,700 new regular donors giving an average of £7 a month. The simple, good quality image of a woman’s face is immediately striking. But what I find really powerful about this campaign is its perfect simplicity. They didn’t create any new text – they just curated existing content. If we questioned the necessity of such an organisation or a need to tackle misogyny, the proof is there to see. Great header message, great copy, great colour, and a really simply laid out process for how to help. The solution in this case is two-pronged, and it’s still crystal clear. I give money, and I plant seeds for flowers that bees love. I know exactly what I need to do and what the impact of my action will be(e). How could Stonewall top the massively successful (almost ubiquitous) ‘Get over it!’ campaign? Well, with another set of smart and insightful messages, this time looking at how language can be used to oppress and humiliate people. I love this. It’s clever, witty, and so so dignified. Naturally I didn’t know what the five signs of breast cancer were. I don’t think I’m alone in this. So this ad has already served a purpose. Not only that but they’re not even asking for money at this point; they want to help me by sending me a free guide. I love that my first encounter with this charity was not about me texting them a donation, but texting my contact details so they can provide a service to me. That immediately sets it apart from the text to donate ads. I hardly need to explain why I love this. 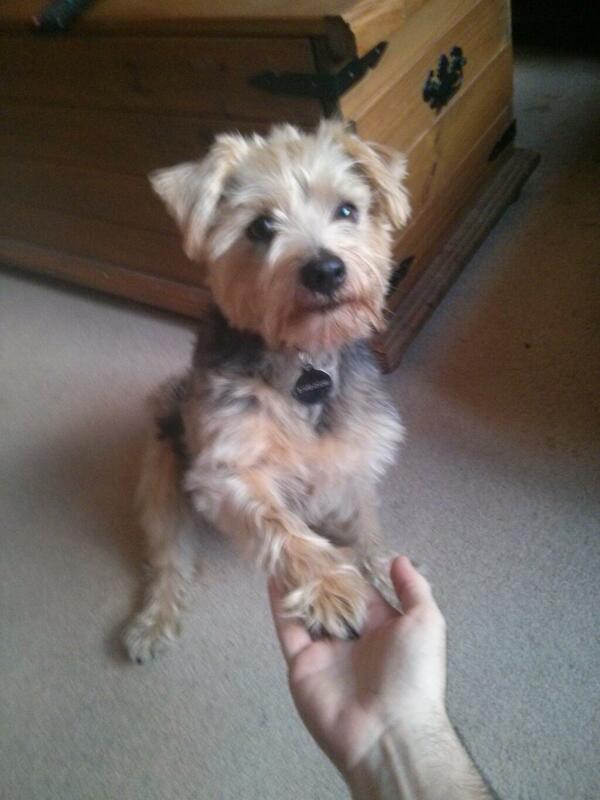 It’s an opportunity to post pictures of cute dogs doing a really cute thing: high-fiving their owner. But there’s a serious message too: it asks us think about whether we’re really in a position to socialise, train and look after a dog for the rest of its life. Important message, cute format.